We wanted to give Hunters in the Midwest area a rifle that can perform all tasks they ask of it. The .450 Bushmaster cartridge is legal to use within the Michigan and Indiana Shotgun zones. At 200 yards this cartridge has more energy than a .44 magnum at the muzzle. Barrel : Chrome Moly - Mcgowen 20"
We offer conversion services for the savage short actions. 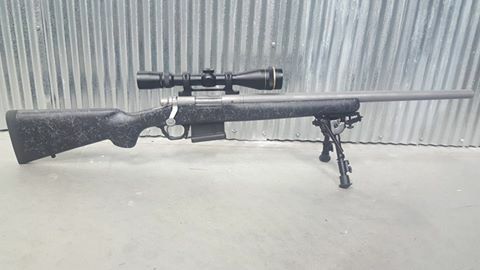 These conversions are done with the same high quality barrels that we use in our remington 700 builds. Conversions are done with a provided savage short action with standard shank size. This means model 10, 11, and 16s. We currently cannot convert model 12s with the target shank. 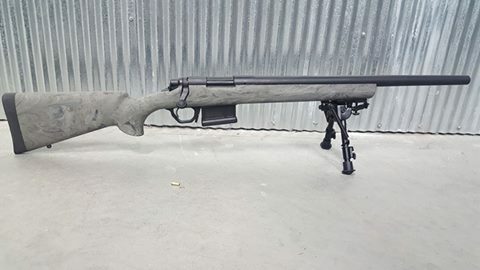 Customer can specify barrel length between 25' and 16"